The Dawn Redwood is an interesting deciduous conifer. It has feathery, needle like, bright green foliage that turns a beautiful golden, orange brown in the autumn time. The bark is a deep drown red in colour and extremely spongy and shaggy in appearance. 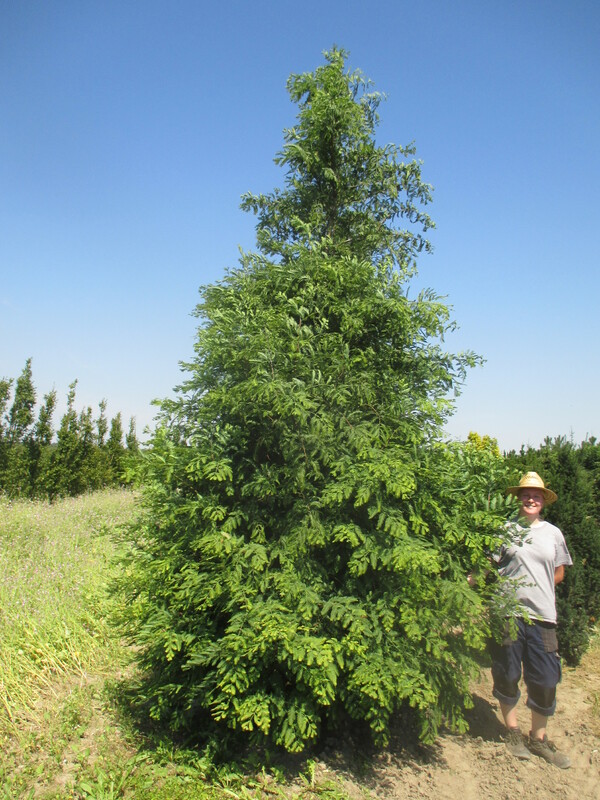 Metasequoia glyptostroboides is a tough tree that will grow well on most soils. This large and interesting tree can grow to great heights, potentially reaching around 60m, making an impact on the sky line, as it has a distinct and unusually large stature.